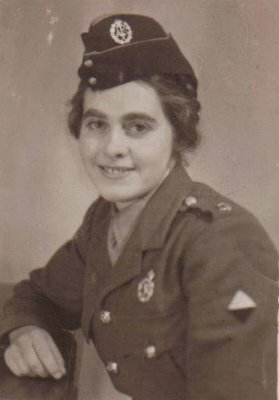 Reg Ward was born in 1916 at Carsington, won a scholarship to Wirksworth Grammar School and was called up to Lincoln Barracks in 1940. 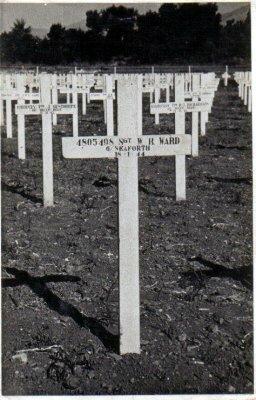 In 1944 he was killed at the Garigliano river crossing in Italy, aged 27. 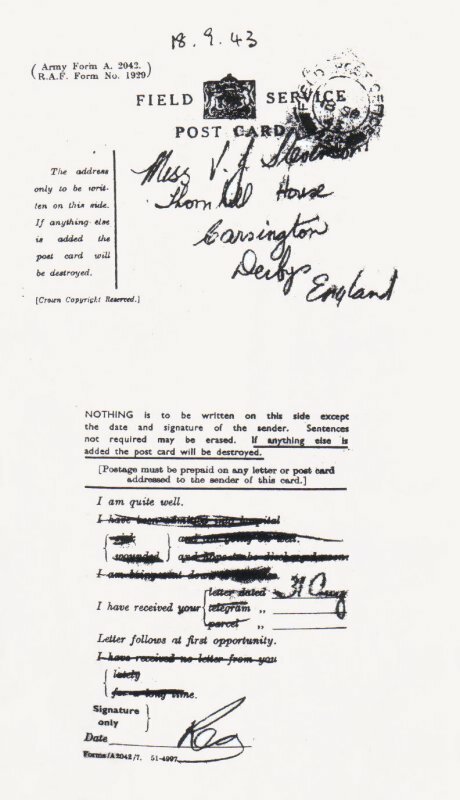 Reg wrote many letters to his girl friend who, fifty years later, transcribed them and suggested they be put on the Wirksworth website, run by . Did you know anyone mentioned in these letters? Can you add anything to the story told here? 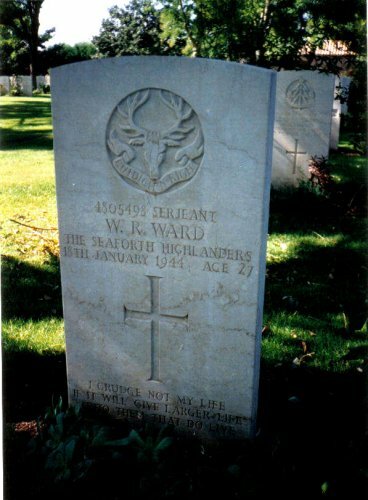 If so, please see Emails about Reg Ward and email the webmaster on: . 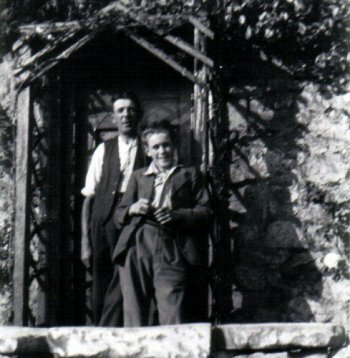 08: William Ward (father) and Eric (brother) at Rock cottage, taken Sept 1940. 12: Thornhill House, Carsington where Joan lived. 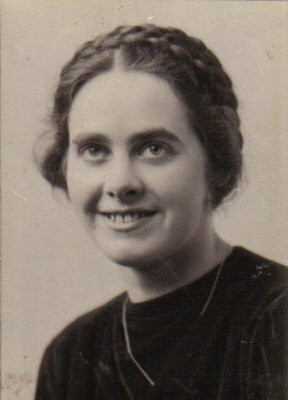 03: Joan Stevenson, this photo is mentioned in letter 94 (4 Jun 1942). 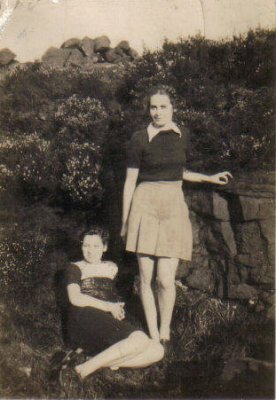 14: Betty (sister) and Joan near Flash Dam. Mentioned in Letter 55 and Letter 58. 19: Reg and pals at Lincoln Barracks. 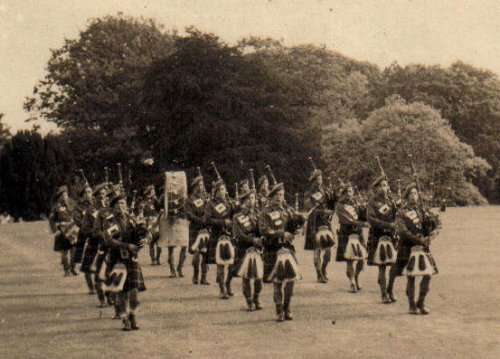 21: Seaforth Pipe Band at Crom Castle. 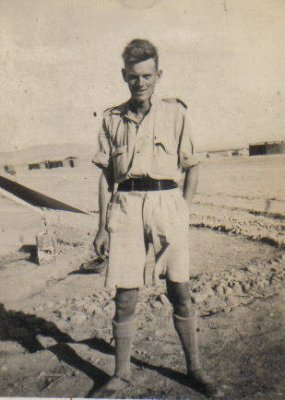 09: Reg in tropical gear, possibly taken in Persia, referred to in letter 129 (17 May 1943). 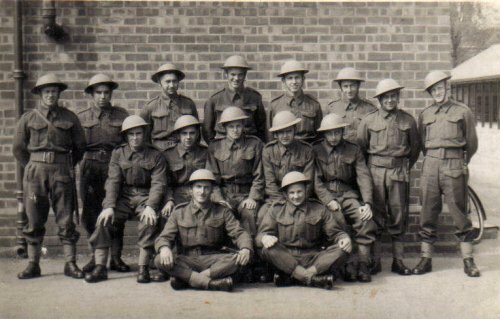 22: Field Service Post Card, see Letter 140, sent 18 Sep 1943. 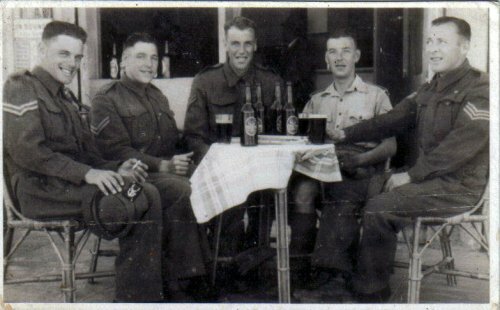 10: Reg and pals on sergeant's course in Tel Aviv. Taken Christmas 1942. Referred to in letter 114. 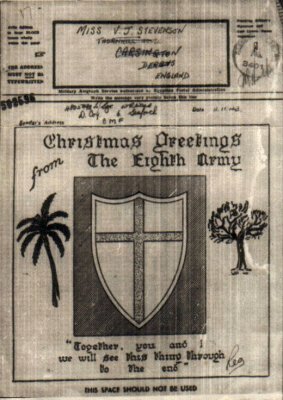 06: Xmas card, sent 1 Nov 1943. 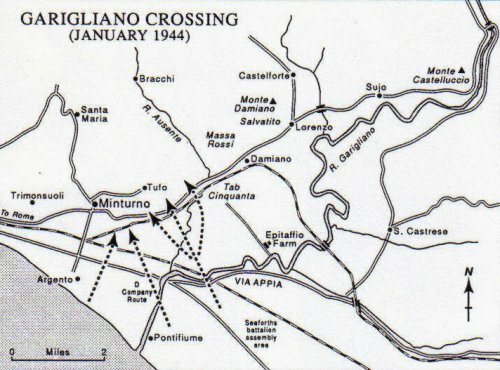 15: The Garigliano Crossing. 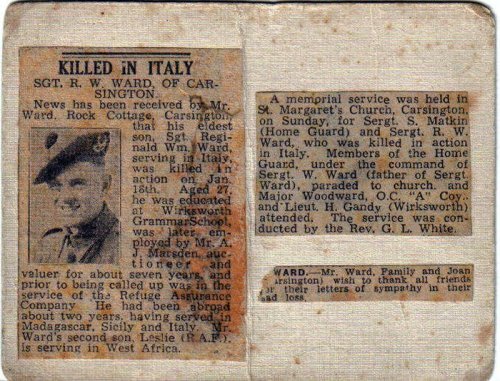 See letter 157: "The tiny village of Pontefiume must have been within a few yards of where he fell"
11: Newspaper cutting, giving Reg's obituary. 07: Grave with original marker, at Pontefiume.